Simplicity and elegance, excellence and contemporary design, style and practicality, all with a single goal: guaranteeing comfort, top quality hospitality and an exclusive reception for all First Class and Business Class passengers and for Miles & More members with HON and Senator status. 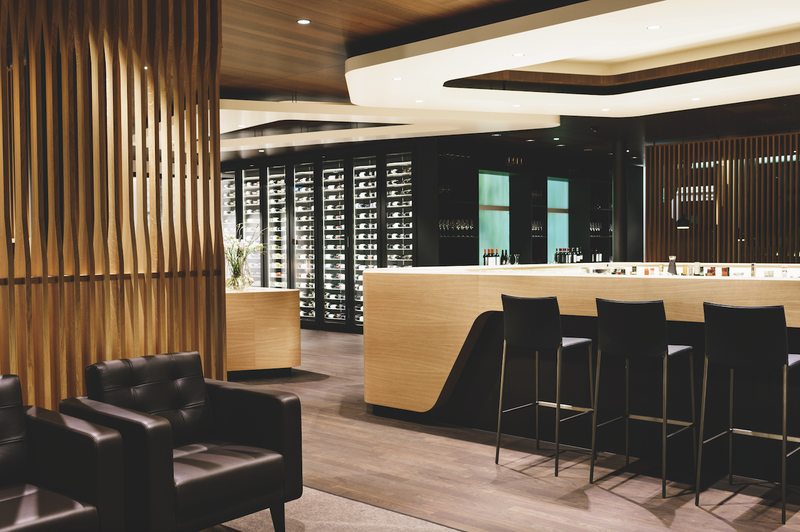 SWISS presents three new lounges at Dock E in its Zurich hub, designed specifically for long-haul flights. 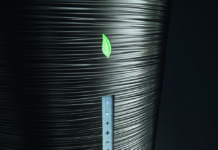 An integrated design, a unique concept expressed in a series of three spaces totalling 3.500 sqm. Senator, Business and First, three spaces in succession close to the departure gates where travellers can enjoy all the services and comfort associated with SWISS style. 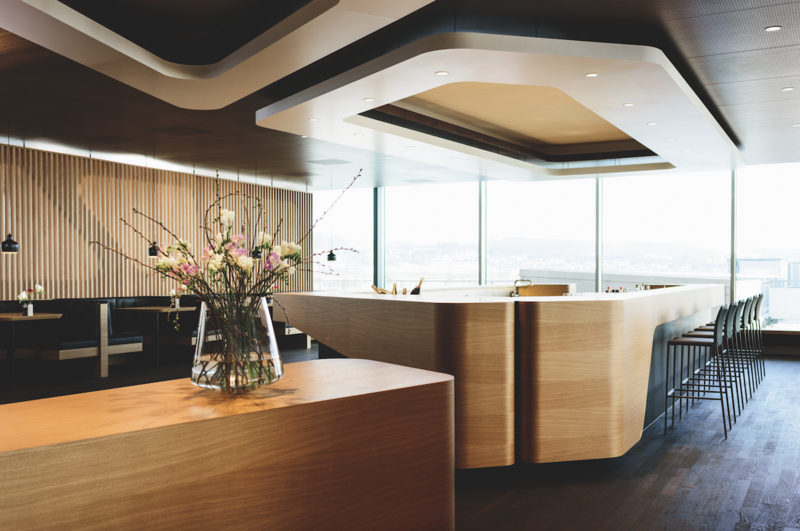 Inside and outside: the lounges have outdoor walkways and patios from which to enjoy splendid views of the Swiss Alps and observe the airport’s landing strip. 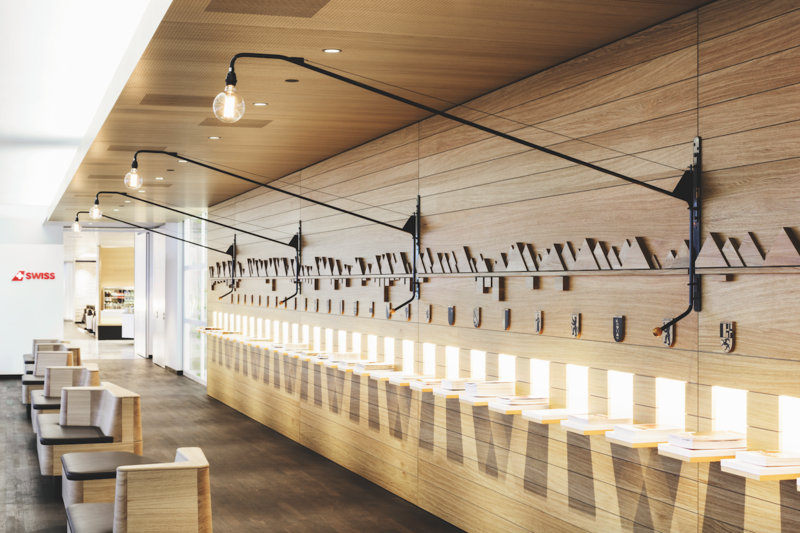 The three lounges contain connected rooms characterised by large open spaces and smaller, more reserved work areas guaranteeing privacy and tranquillity. 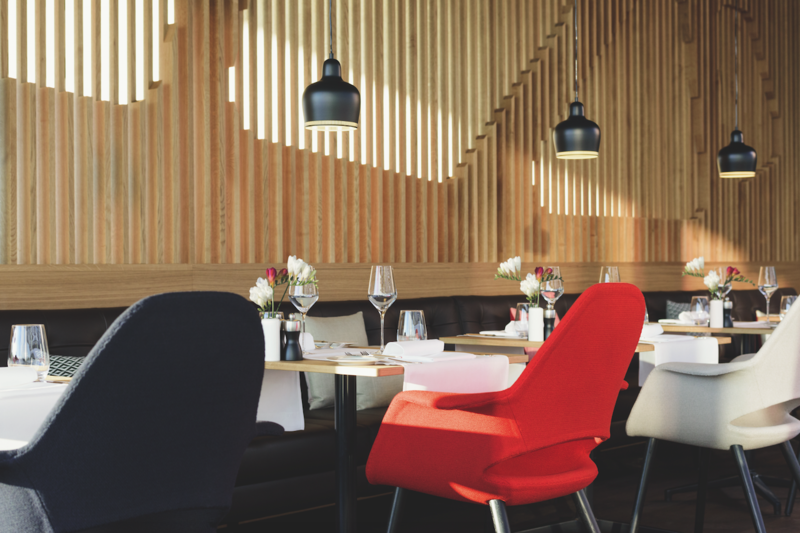 Versatile layouts, comfortable furniture, and a welcoming atmosphere with restaurants, a bistro, a whisky bar and accessory and service areas, all sharing the same SWISS style. Quality gastronomy too, with top quality ingredients prepared with creative flair and interpreted in ever-new ways by the company’s selected chefs. 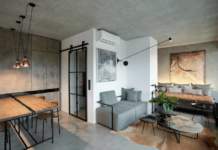 Designer furniture and lighting by the best SWISS companies, precious smoked oak flooring, and limestone walls complete a consistent, sophisticated image in international style but with a strong SWISS identity. A consistent, organic operation in which the brand can be instantly recognised in the elegance, sophisticated, tasteful interiors and focus on passengers and their individual habits. The new First Lounge is designed to meet every possible need. A 5-star restaurant, an American diner, a VIP lounge that may be used as a conference room for business meetings, and two hotel rooms with private bathrooms: everything anyone could want while waiting for a plane.